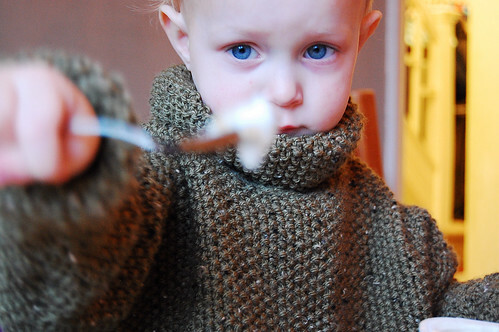 This is the sweater I knitted for Ernest while sat at craft fairs in the run up to Christmas. 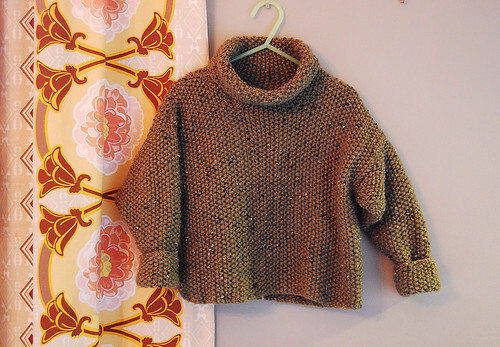 A simple moss stitch tunic that can be knitted without looking at the pattern too often, ideal for keeping fingers busy between customers. 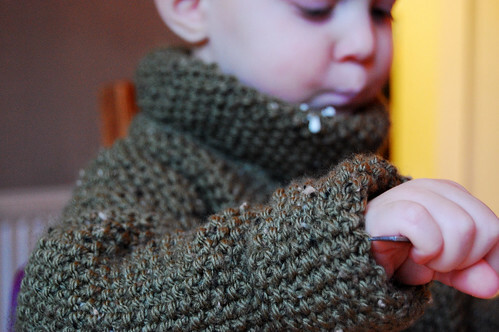 The pattern is from my favourite knitting book, Quick Baby Knits by Debbie Bliss. I bought this book back in 1999 when Eden was born. I knitted her several things from it, and I think each of my children since have had at least one item knitted from this book. There are some mistakes in this sweater, and the sewing up is far from perfect, (Oh how I hate sewing up! 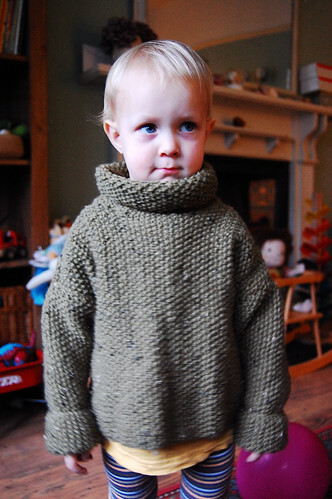 ), but Ernest likes it, it's cosy, though unfortunately it does catch yogurt in the roll neck. I keep looking at the book and wondering if its worth buying (or if I will make one thing and then never open it again). But it sounds like a good buy then? Val, I love this book, it's def my most used pattern book, sizes go up to age 5, and there are lots of great quick sweaters. Certainly been a good buy for me. I keep forgetting that I have this pattern book (a gift from my SIL): I need to start knitting from it before both my kids have outgrown it!